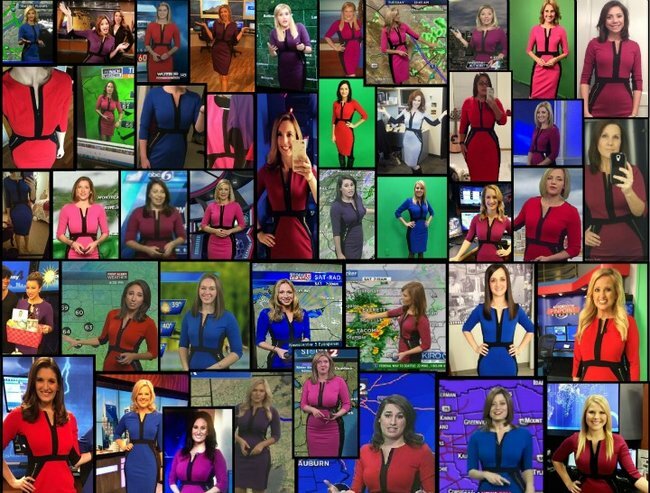 More than fifty American meteorologists have been caught out wearing the exact same dress while delivering their weather reports. 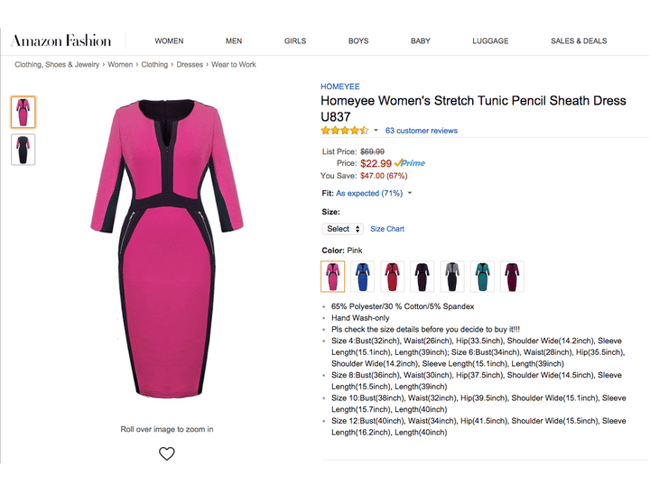 One eagle-eyed viewer posted a collage online of the women wearing variously coloured versions of the same long-sleeved pencil dress on news bulletins across the country. A nationwide conspiracy perhaps? Or new uniforms? Could this be a sign of budget cuts? Maybe it’s some sort of sisterhood of the travelling dress scenario and they’re just shipping it around between broadcasts? What if The Dress (2.0) is actually some kind of new age wearable barometer that feeds up-to-date weather information to their brains via their skin? In fact, the answer is far more simple: The dress was a bargain buy on Amazon and someone posted it in a private Facebook group for meteorologists. Mystery solved. Image via Amazon. 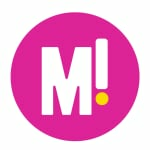 It’s no mean feat finding the perfect dress for television (as Natarsha Belling can attest to), block colours work best and a flattering cut can do wonders to counteract those extra camera-added kilograms. At $23 a pop, this dress is basically the sartorial equivalent of a magical unicorn… so it’s no wonder they’re all over it. “Someone posted a link to it on our broadcast meteorologist group Facebook page and it got REALLY popular,” she explained. That just leaves one question: black and blue or white and gold?